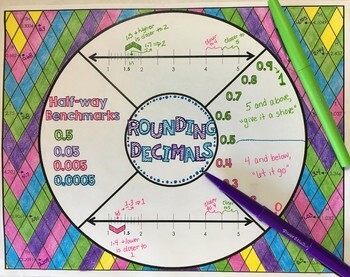 Use this math wheel/graphic organizer as both a notes page and practice page to introduce rounding decimals. The math wheel provides visual representations, room for examples, and practice problems. Directions for use and a completed math wheel are included. Check out more Math Wheels. 6th Grade Math Resource Bundle - resources for the entire year.